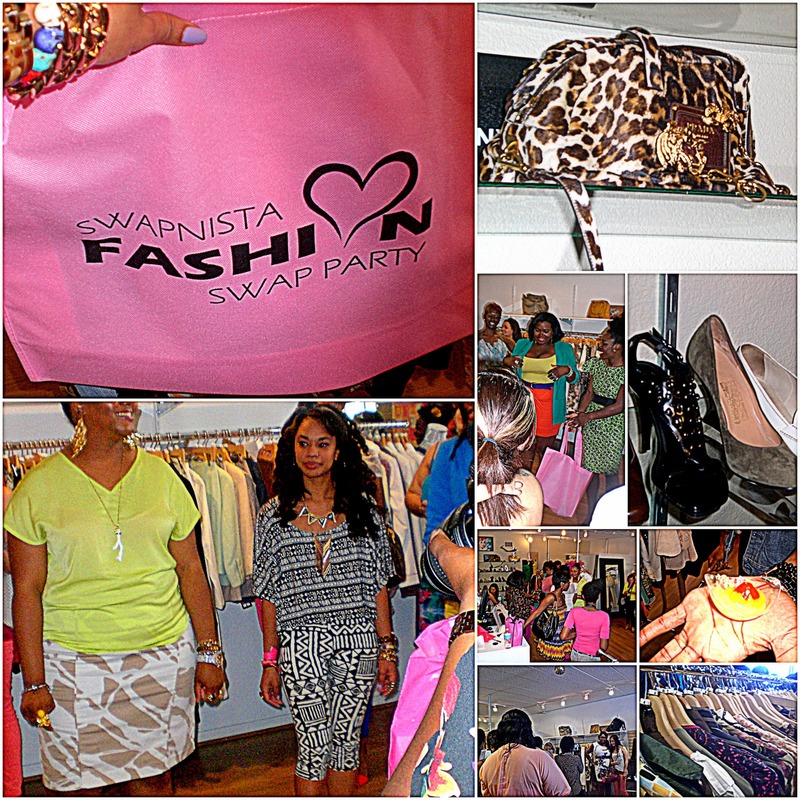 On Saturday April 28, the very first swapnista event was held in Houston. 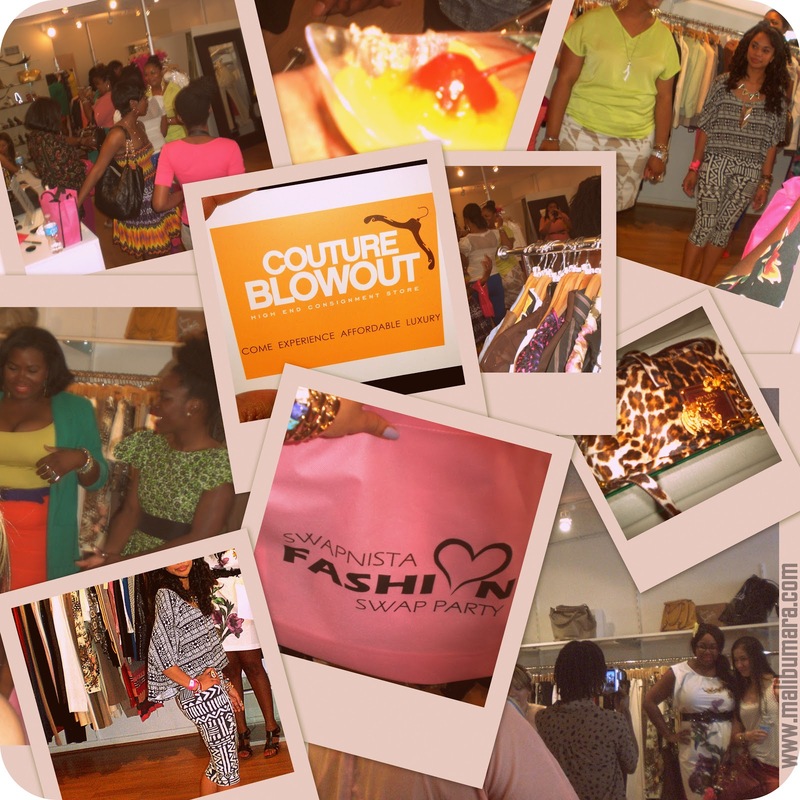 It was co-hosted by the "Houston Fashion Bloggers" which is a group that I recently joined. Couture Blowout was the venue and upon arrival I was greeted by a sweet sales associate... and a Chanel Jacket! 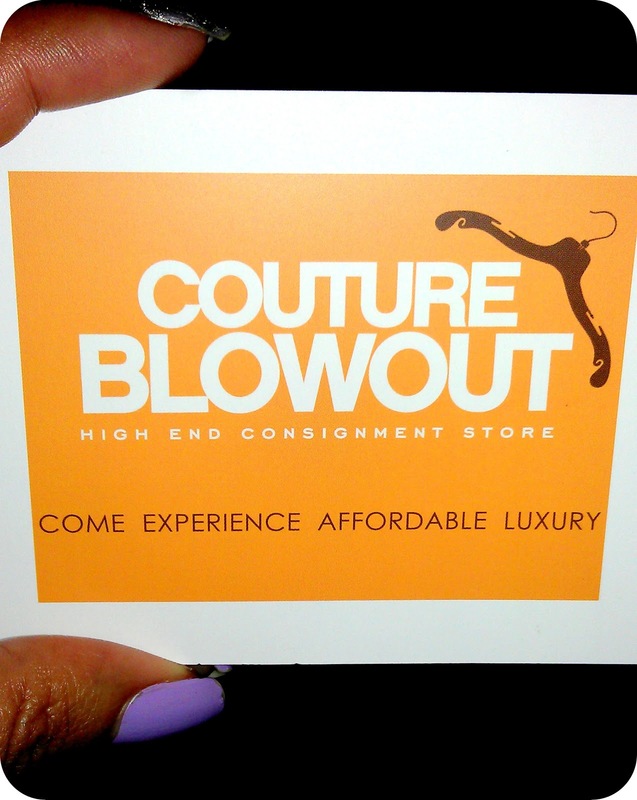 Couture Blowout is a high end consignment shop and flipping through the racks of Versace, Chanel, Marc Jacobs; seeing prada bags, and Louboutins on the walls-- I was in designer heaven. DONT FORGET TO ENTER MY BLOG GIVEAWAY! Thanks for the sweet re-cap of Swapnista! So glad you participated in the Style Wars Challenge..I loved you styled the tribal print trend. @Sherine Thanks doll :) It was fun! It was so nice meeting you finally! I really didn't get a chance to mingle like I wanted cuz I was outside most of the time. Congrats on your soon to be graduation! @Julia it was great meeting you too! Thanks dear :) I can't wait! That seems like so much fun!!! That's so cool. Yay! this sounds like a lot of fun and a great store. It was! It was an interesting concept.